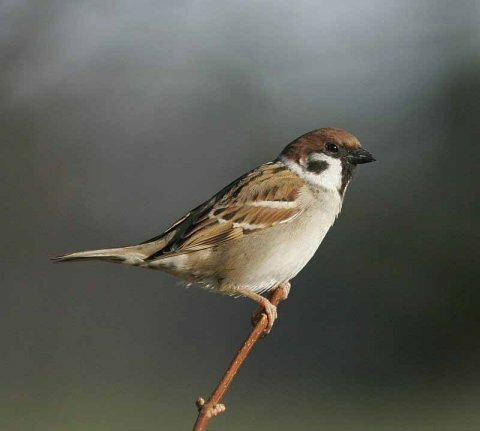 The House Sparrow is distributed around the world having spread from its original home in the Middle East. in 1872 to Argentina and in 1906 to Rio de Janeiro.There is currently (2003) discussion as to how far it has colonised Central America - it seems to be widespread near human habitation in Costa Rica. 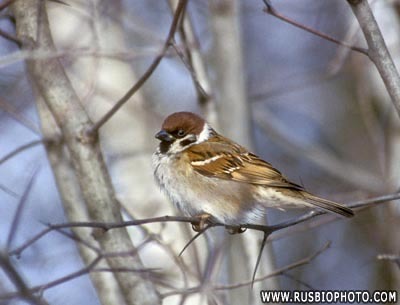 It feeds mainly on seeds and household scraps but also on invertebrates during breeding. It nests in holes so that human habitation has provided it with excellent nest sites in buildings. 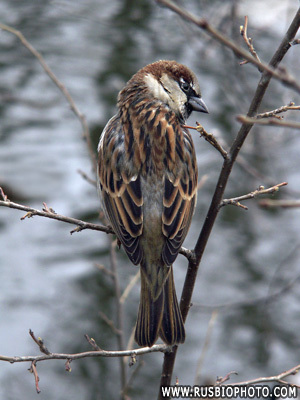 Upperparts are black streaks on brown. 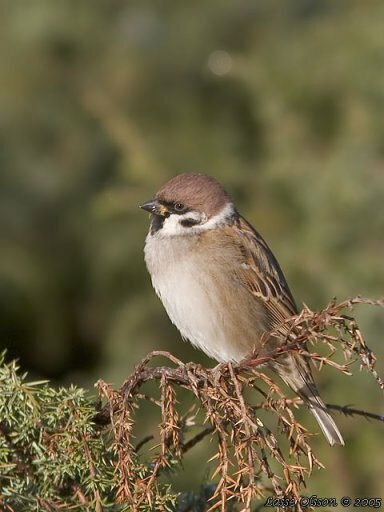 The male has a black bib and a grey crown with chestnut sides to the head. Cheeks are pale grey. 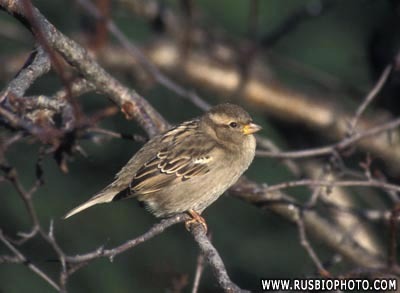 The female is much duller and is generally browny-grey below. 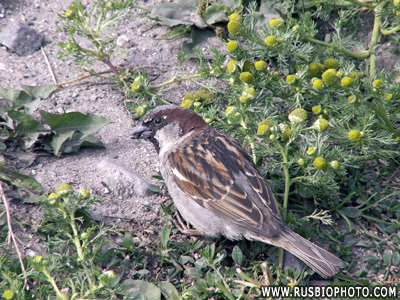 Sparrow or German Sparrow to differentiate it from the native, unrelated American Tree Sparrow). 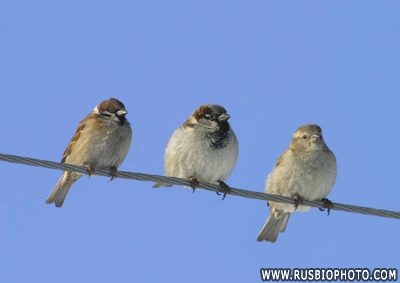 Changes in farming methods have meant that this species is declining in some parts of western Europe. and ear-coverts there is a triangular black patch; the chin and throat are black. 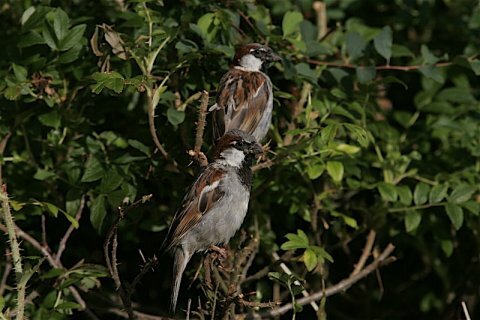 Two distinct though narrow white bars cross the brown wings. In summer the bill is lead-blue, and in winter almost black. The legs are pale brown and the irides hazel. The sexes are practically alike. 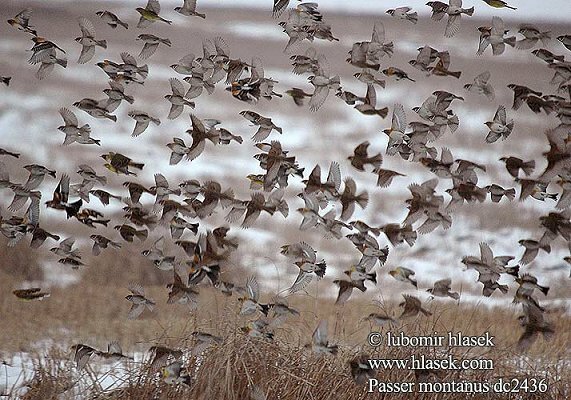 hole in which to put its untidy nest, composed of hay, grass, wool or other material and lined with feathers. Some of the nests are not actually in holes in rock, but are built among roots of overhanging furze or other bushes. The haunts of man are not always shunned, for old thatch in a barn or cottage will shelter a colony. 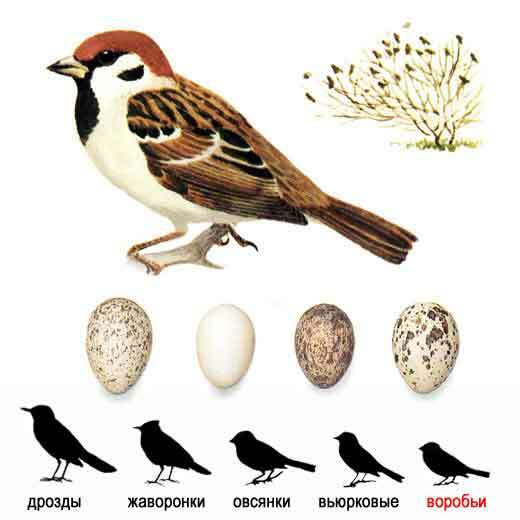 A domed nest, like that of the House Sparrow, is sometimes built in the old nest of a Magpie or other bird. 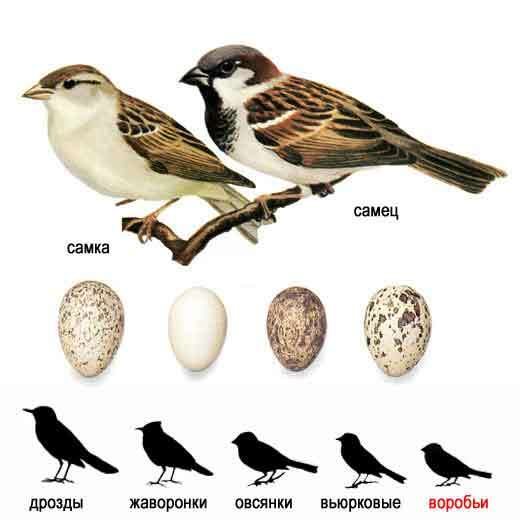 The four to six eggs, usually five, are smaller and, as a rule, browner than those of the House Sparrow. They vary considerably, and frequently the markings are massed at one end. In most clutches one egg is lighter and differs in markings from the others.